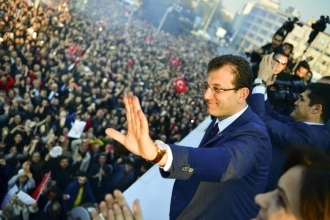 Opposition CHP's İstanbul candidate Ekrem İmamoğlu takes office as İstanbul Metropolitan Mayor. 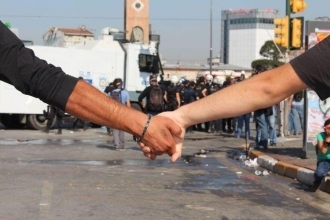 After 25 years, the İstanbul Metropolitan Mayoralty has passed from the AKP to the CHP. 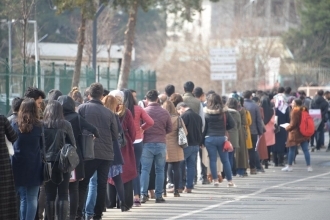 The Turkish Statistical Institute (TSI) figures put January 2019 unemployment at 14.7%. 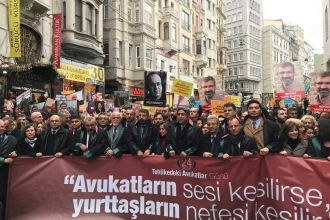 The Supreme Election Council’s withholding of certificates of election from mayors-elect who are subject to decrees with the force of law was protested in Diyarbakır. 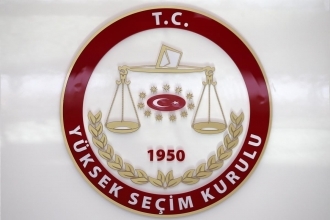 A Supreme Election Council resolution will deny certificates of election to mayors-elect who have been expelled under decrees with the force of law. 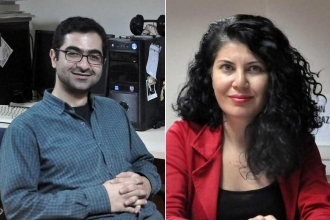 The winners of the Metin Göktepe Journalism Awards held for the twenty-second time this year will be presented with their awards on Metin Göktepe’s birthday of 10 April. 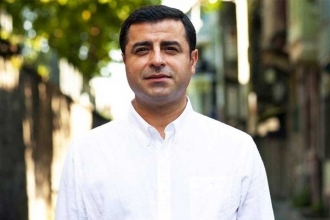 Selahattin Demirtaş assessed the election results: The opposition block succeeded in giving concrete expression to a democratic choice throughout these elections. 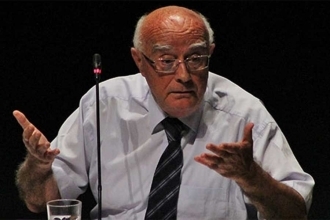 Former Istanbul Bar Association Chair Turgut Kazan stresses that the aim of the objections the AKP has made to the elections in İstanbul is to invalidate the results. 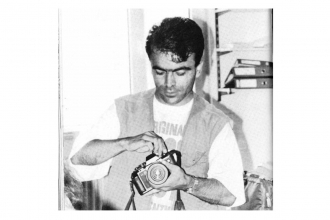 Penalties rained down on those who acted as co-editors-in-chief in solidarity with Özgür Gündem, including Evrensel's columnist İhsan Çaralan. 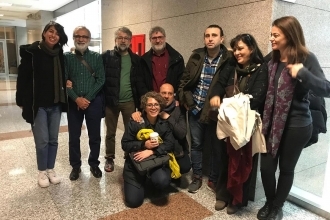 The court passed sentence in the Contemporary Jurists Association and People's Law Office lawyers trial without hearing the statements. 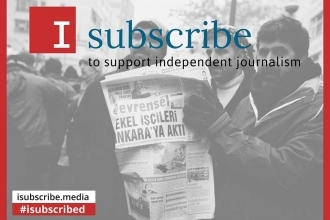 The international 'I Subscribe' campaign's second round supports the daily newspapers Evrensel and BirGün in Turkey. 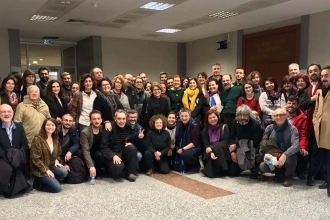 Prosecuted for having signed the peace declaration titled, “We will not be party to this crime,” 27 academics for peace have been handed down jail sentences. 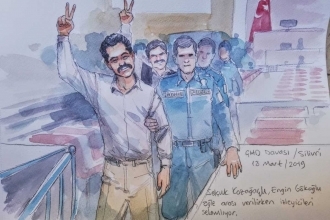 Aggravated life imprisonment is being sought for sixteen people including Osman Kavala under the investigation conducted into the Gezi Park Resistance. 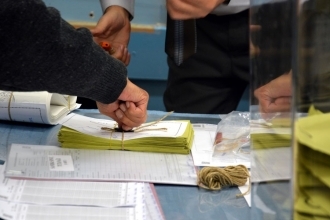 The period set by the SEC for announcing local election candidates has ended. Final adjustments have been made to the alliances. 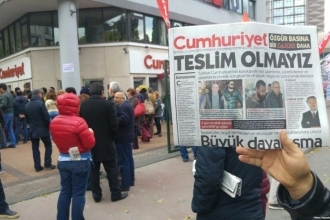 The Appeal Court has upheld the sentences handed down in the Cumhuriyet newspaper trial. The ruling sees eight people who were sentenced to less than five years returning to prison. 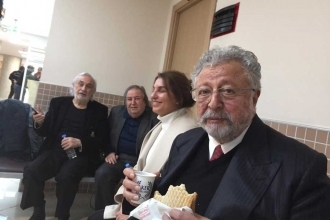 Former Evrensel responsible editors Çağrı Sarı and Cem Şimşek appeared before the judge. 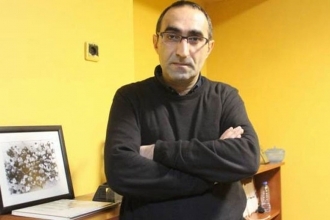 Çağrı Sarı’s hearing was adjourned while Cem Şimşek was acquitted. 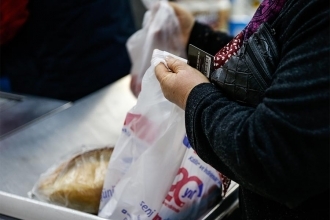 Why have vegetable and fruit prices gone up in Turkey? Will direct sale points cure citizens’ woes? Are market traders to blame? We made a collation of the points of concern. EMEP: No to the Guaido Coup! 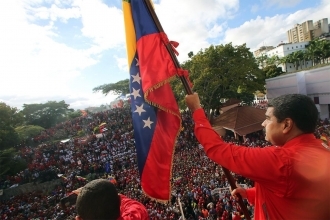 Imperialists hands off Venezuela! 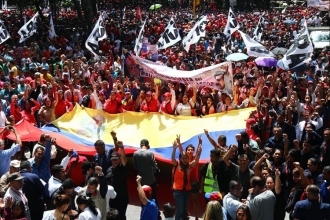 The Labour Party (EMEP): We support the righteous struggle of the people of Venezuela and offer our solidarity with them. 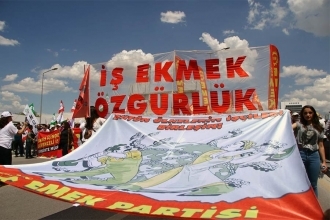 The Labour Party's (EMEP) declaration for the local elections: No Votes for the One-man Alliance; Unite in the Struggle for Work, Bread and Freedom! Blatant presence of the USA in events should also be expected to exert a moderating influence even on circles that oppose or are critical of Maduro. 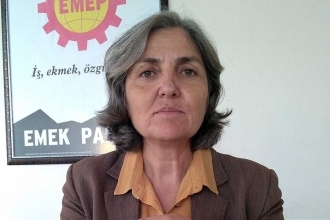 The prosecutor has called for EMEP Chairwoman Selma Gürkan’s punishment on “terrorist organization propaganda” charges for her Afrin comments. 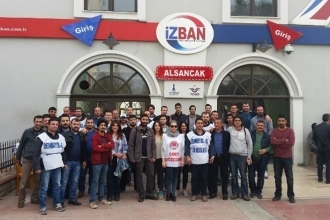 Following the banning of the strike by Erdoğan at İzmir Suburban Rail System (İZBAN), the agreement signed under Supreme Arbitration Board threat. 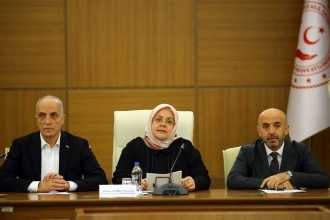 Claims of bogus voters have been brought into parliament before the local elections in Turkey on March 31, 2019. 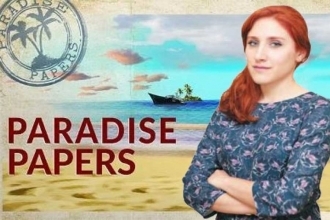 Hüsnü Öndül wrote Prof. Dr. Türkan Yalçın and Prof. Helen Duffy & Philip Leach’s reports about the Peace Academics trials. 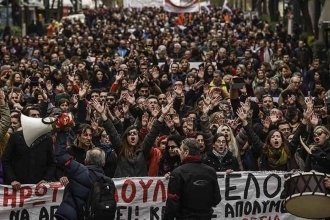 Panthenonas Teachers Union Organiser, Emilia Tsagaratou writes about the reason behind the third teacher strike in Greece and their demands. 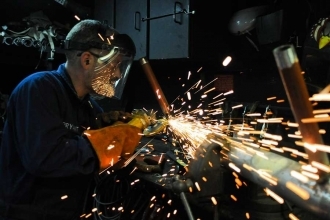 A further 501,000 people joined the ranks of the jobless to make a total of 3.788 million. The youth unemployment rate rose by 3% in October to 22.3%. 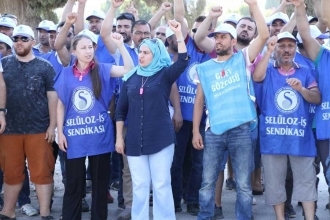 The police attacked Genel-İş trade union members who were protesting the objection to their union’s competence in front of İzmir Municipality. Workers who have remained unemployed, waived their rights and been condemned to 4+4% raises are now being denied their severance pay. The Supreme Election Council dismissed the objection made against its decision that the Labour Party may not contest the local elections. 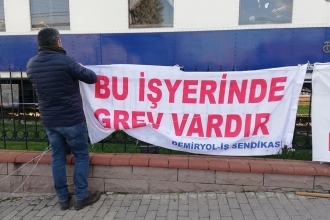 The strike which started on 10 December at İzmir Suburban Rail System (İZBAN) banned by a Presidential Decree, signed by Tayyip Erdoğan. Prof. Dr Üstün: 'The bag charge measure is a project that on the one hand places a burden on the people’s shoulders and on the other boost the budget. 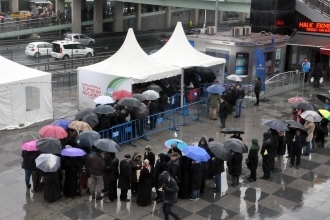 Syrian refugees: Who wants to leave their own country! 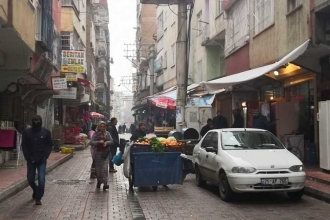 What are Syrian refugees living in Diyarbakır’s Bağlar sub-province going through? Syrians living in the area told us. Prior to the local election on March, the Supreme Electoral Council is appending its signature to decisions that impair fairness. 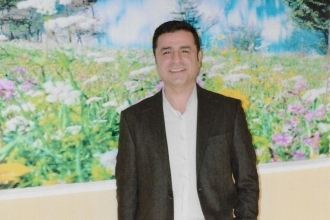 Following the upholding of the prison sentence handed down to Selahattin Demirtaş, the lawyers have applied to the Constitutional Court. 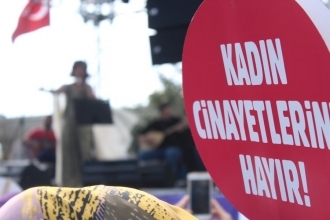 Last year in Turkey, 440 women killed. 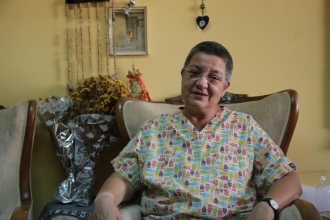 131 of the deaths entered the records as being suspicious and the perpetrators were not found. So far, who has said what about the flurry of activity in Manbij? 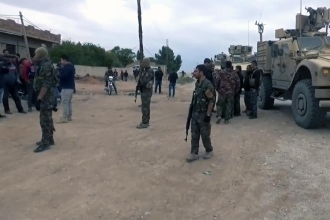 With the Syrian army said to have entered Manbij, the US Department of Defense has refuted the reports. 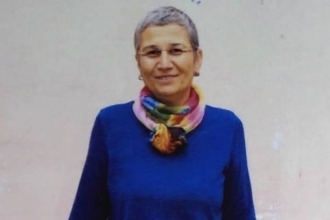 The court has decided to uphold the custody of Leyla Güven, the HDP member of parliament, who is under arrest since 31st January 2018. 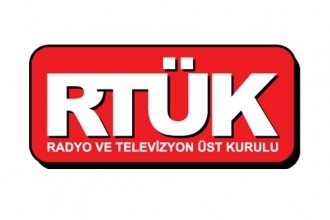 The Radio and Television Supreme Council (RTÜK) has penalized Halk TV and FOX TV after they were targeted by President Erdoğan. 2018 saw unemployment, insecurity, poverty and death becoming cloaked in acceptability, the erosion of wages and an increase in workers’ deaths. Seven years have passed since the massacre in which 34 people, 19 of them children, were bombed to death by warplanes on 28 December 2011 in Roboski. 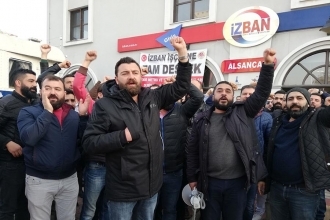 With the minimum wage rise set at 26%, the bosses at İZBAN, where the strike continues, have revised their offer. The minimum wage stays at the hunger level. 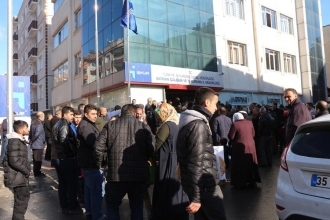 The minimum wage, directly affecting ten million workers, has been set at 2,020 lira in 2019. 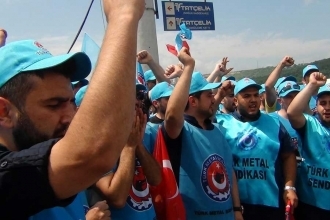 The strike at Süperpak lasting 186 days against the imposition of a zero raise has ended in victory for the workers. 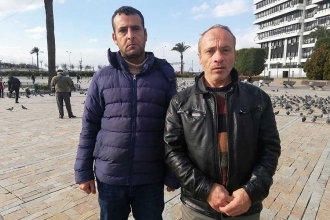 An investigation has launched into well-known actors Metin Akpınar and Müjdat Gezen, who spoke critically of President Tayyip Erdoğan. 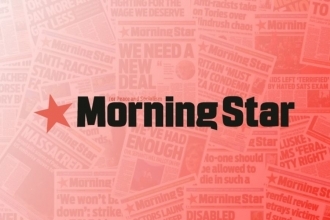 Steve Sweeney from the Morning Star wrote an article about the pressure on media in Turkey and called for solidarity with Evrensel. 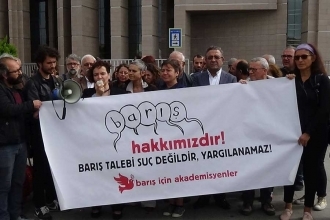 We are publishing the text submitted to the court by Evrensel columnist Prof. Dr Şebnem Korur Fincancı, who was sentenced to 30 months’ imprisonment. 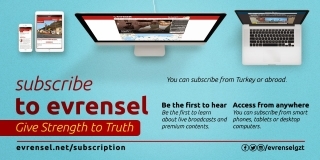 Get Evrensel Daily's top stories every day in your email inbox. 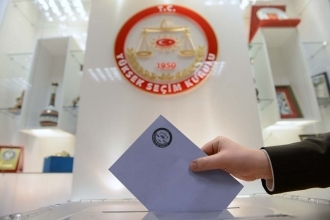 Turkey's new regime’s test at the ballot box! View Evrensel Daily Flipboard Magazine.